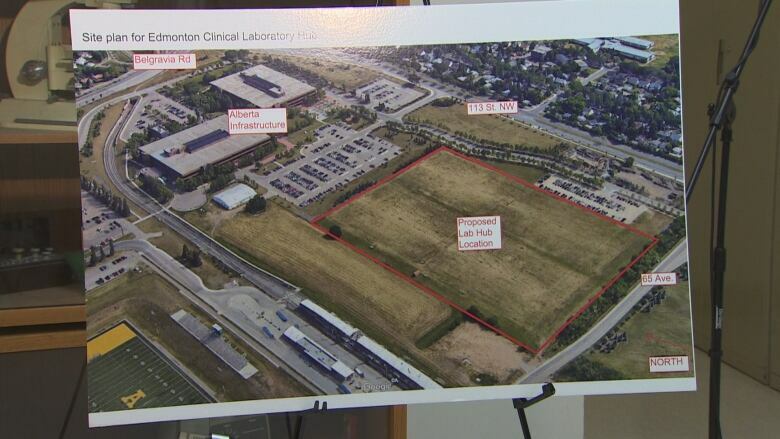 The Alberta government will consolidate its medical laboratory services into a public corporation under Alberta Health Services next year, with a new Edmonton facility to follow. The province is hoping lab tests will be done more quickly and efficiently in a new integrated public facility at the University of Alberta's south campus. The new hub near the south campus LRT station is just an empty field right now, but construction is expected to begin in 2019. The land is already owned by the government, which is expected to save $30 million in land purchase costs. The government has already committed $20 million to planning, preliminary designs and initial site work for the consolidated lab. The total cost of the project has not yet been revealed. 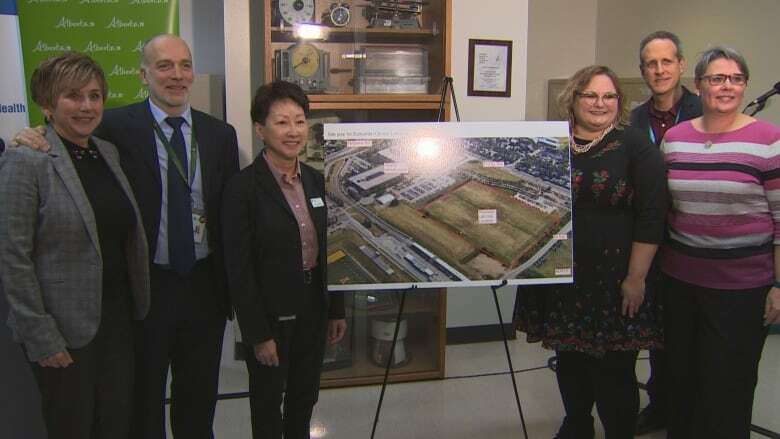 The new facility will change where lab results are processed but not where patients get their lab tests done, Alberta Health Minister Sarah Hoffman said on Thursday. "We believe that we will have as of good outcomes if not better by having it incorporated within Alberta Health Services," Hoffman said. It's expected to lead to quick and efficient health tests, she said. "As we look at diversification of the economy and trying to advantage Alberta companies about bringing technology and precision health to the table," said Dr. Verna Yiu, president and CEO of Alberta Health Services. "Patients probably won't notice — in fact, they shouldn't notice — a difference, but I think the providers will notice a difference, and it's just going to be much better streamlined work." Early next year, the province will begin consolidating lab services into the public corporation under Alberta Health. Lab tests in Edmonton are currently provided by AHS, Covenant Health, and private company Dynalife. Dynalife's contract with the province ends March 31, 2022. The Health Sciences Association of Alberta, a union representing 5,000 employees of Alberta medical labs, supports the lab integration but is concerned the services may not be publicly delivered. Trudy Thomson, the union's vice-president, said the union's members may not be able to continue on their same pensions. "It affects a lot of people and it could affect more," Thomson said. Hoffman said no jobs will be lost in the new integration plan. The new building is expected to be completed by 2022.